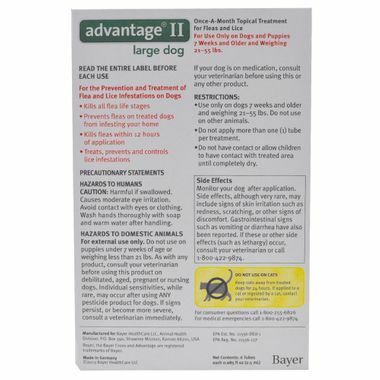 Advantage II for Dogs provides dual protection against fleas and lice reducing annoying, itchy bites. Simple, monthly applications during warm weather months will get rid of fleas and help in the prevention of secondary problems like Flea Allergy Dermatitis (FAD). 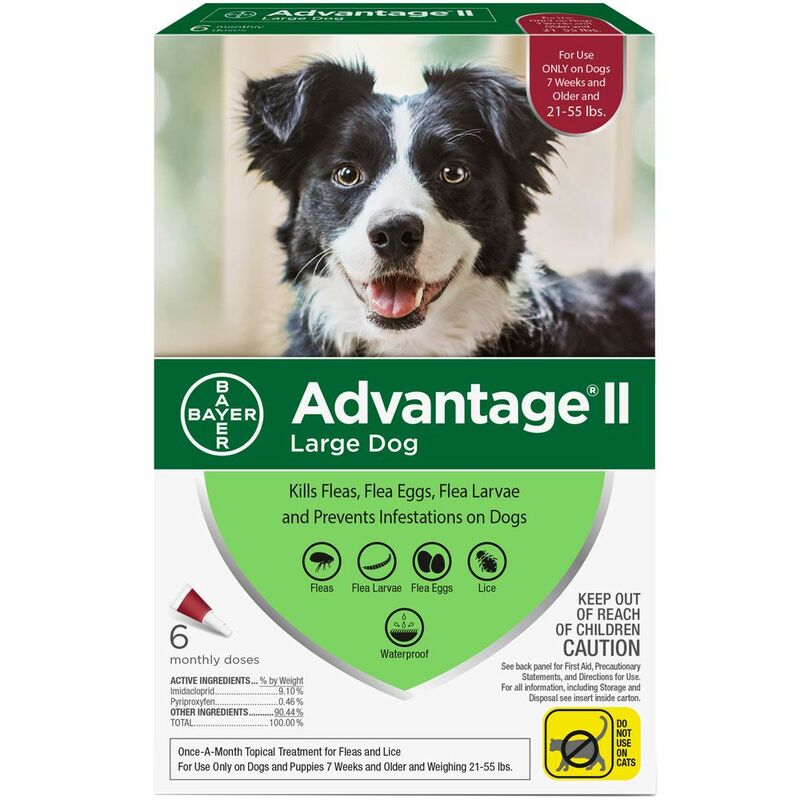 Advantage® II kills fleas fast, through contact ? no biting required. 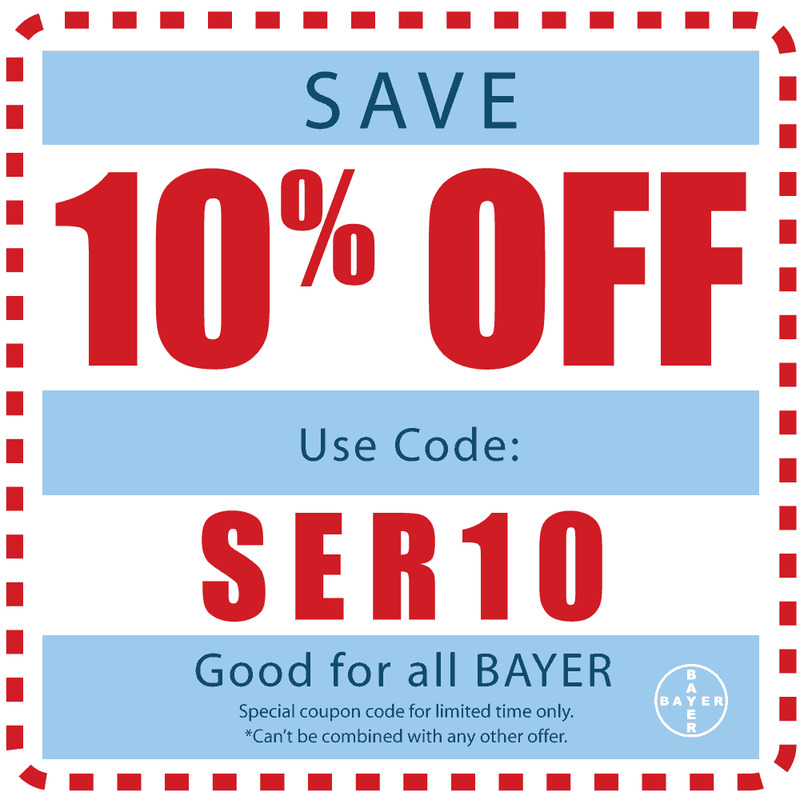 This means there is less irritation and discomfort for your dog. Advantage? 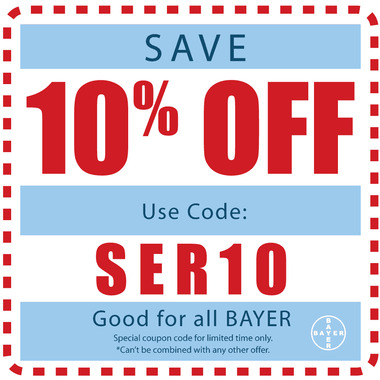 II also works in the prevention of Flea Allergy Dermatitis (FAD). 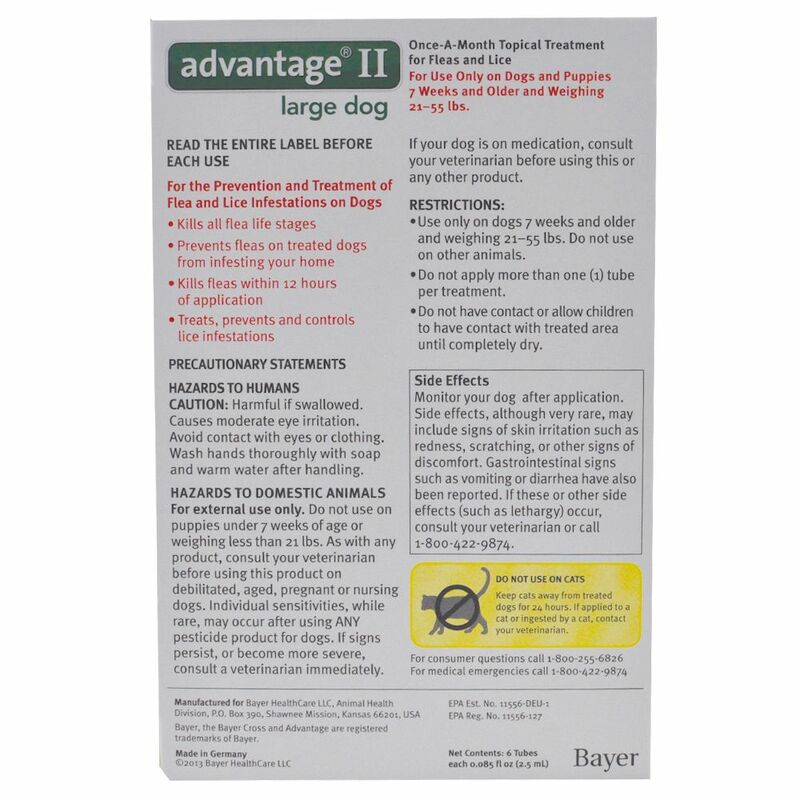 Advantage® II provides multi-stage flea control effectively breaking all flea life-cycle stages for quick and lasting control of flea populations. Advantage® II?s topical formula works when wet, locks into the lipid (or fat) layer of the skin and remains effective for 28 days. Be sure tube is at bottom of pouch. Using scissors, cut the pouch across the top and remove tube. Hold application tibe in an upright position facing away from you and your pet's face and eyes. Pull cap of tube. The dog should be standing for easy application. Part the hair on the dog's back, between the shoulder blades, until the skin is visible. 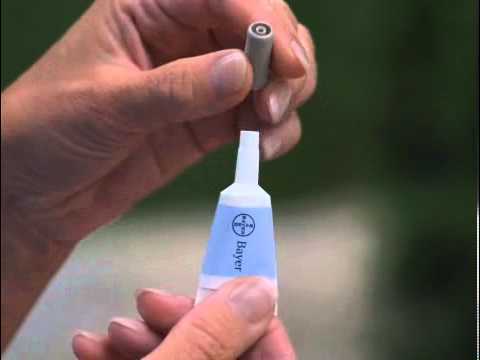 Place the tip of the tube on the skin and squeeze the tube to expel the entire contents directly on the skin. Do not get this product in your pet's eyes or mouth. Under normal conditions this product is effective for a month. However, in cases of severe flea infestation, retreatment may be necessary earlier than four (4) weeks. Do not retreat more often than once every seven (7) days. After flea control is obtained, return to a monthly retreatment schedule. Do not apply more than one (1) tube per treatment, even for larger dogs. Do not have contact or allow children to have contact with treated area until completely dry. CAUTIONS: Harmful if swallowed. Causes moderate eye irritation. Avoid contact with eyes or clothing. Wash hands thoroughly with soap and warm watewr handling. Keep out of reach of children. Do not contaminate feed or food. For external use only. Do not use on puppies under seven weeks of age. As with any product, consult your veterinarian before using this product on debilitated, aged, pregnant or nursing animals. Individual sensitivities, while rare, may occur after using ANY pesticide products for pets. If signs persist, or become more severe, consult a veterinarian immediately. If your animal is on medication, consult your veterinarian before using this or any other product.